Quarterly azure and gules; 1st: the Papal Keys or; 2nd: an escallop or; 3rd: a Lamb of God (a lamb passant proper, with a halo or charged with a cross gules, and the dexter forelimb reflexed over a cross staff from which a pennon of St. George (Argent a cross gules) is flotant); 4th a staff proper surmounted by a fleur-de-lis supported by two crowned lions rampant combatant or. 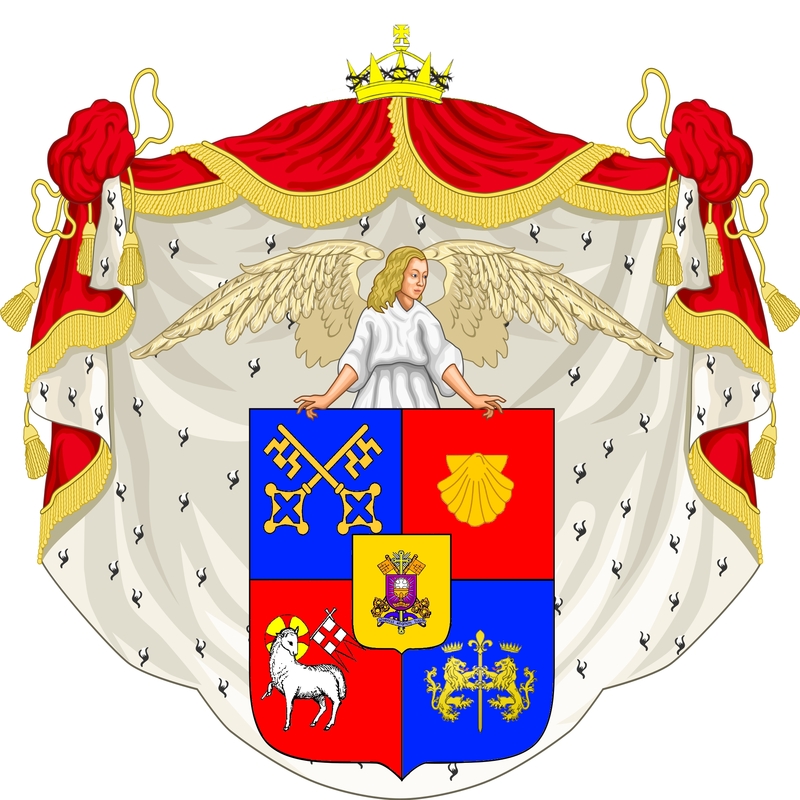 On an escutcheon of pretence or the arms of the Liberal Catholic Church. The arms are supported by a winged angel and surrounded by a red, gold and ermine great mantle surmounted by a Crown of Thorns.